With Mario on the white side & Bowser on the black, challenge your friends with this cute Super Mario chess set! Plus, read our funny facts about the Mario Bros.
Super Mario is one of the most beloved classic video games of all time- right up there with Pacman and Space Invaders. Mario has been the star character of more than 200 different video games, and now he can be the star of your chess games! Now a beloved video game character, Mario originally started out as nothing more than a humble plumber. Actually, at the very beginning, he wasn’t even a plumber! In 1981, he was a simple character known only as “Jump Man” whose purpose was to try and rescue his girlfriend from a gorilla in the original Donkey Kong arcade game. That’s right, the famous Mario originally started out as a nearly nameless extra in someone else’s game! As the Donkey Kong game gained in popularity, the character of Jump Man began to be fleshed out, eventually earning himself the name Mario, after the landlord of one of Nintendo’s warehouse locations. By 1983, Mario was ready to star in his own video game, along with his brother, Luigi, of course! Shigeru Miyamoto expanded the story he thought up when he originally created Mario and that became the foundation of the game Mario Bros. The story takes place largely in a system of underground pipes beneath New York City, which is how Mario became a plumber in the story. Two years later, Mario and Luigi had become popular enough to get their own sequel game, and Super Mario Brothers was born. That popularity has never really faded, and there have since been a steady stream of Nintendo games featuring Mario, Luigi, and other classic characters from these games. Even in 2019, they’re still coming out with new ones! The Mario universe just keeps expanding, and now, with a Mario Chess Set, you can finally take these popular characters out of the screen and onto the chessboard. This Mario chess set is based around the second Mario Brothers game, Super Mario Bros, which is commonly known as just Super Mario. This game is the single best selling video game of all time. It’s sold more copies than Skyrim, Half Life, and any other game you can think of! Its music is instantly recognizable to almost anyone, even if they’ve never laid a finger on a controller before in their lives. It’s no wonder, then, that its characters make for a great themed chess set! It’s no wonder, then, that its characters make for a great themed chess set! In This Super Mario Bros Chess Set, Mario, Luigi, and their friends face off against Bowser and all of his evil henchmen. The white side includes characters such as Mario, Luigi, Princess Peach, Princess Daisy, Toad, Yoshi, and a signature Mario coin as the pawns. The black side features Bowser, Bowser Jr., Kamek, Birdo, Goomba, and Koopa shells as the pawns. All the pieces are conveniently labelled with their roles on the base, so you can always be sure which piece is the Rook or the Knight, etc. These chess pieces are made entirely out of plastic, so it has great durability to be used as a child’s set, or to be kept in mint condition as a collector’s item. The chess board is a foldable cardboard type with blue and white squares and the Super Mario Bros logo on each side. 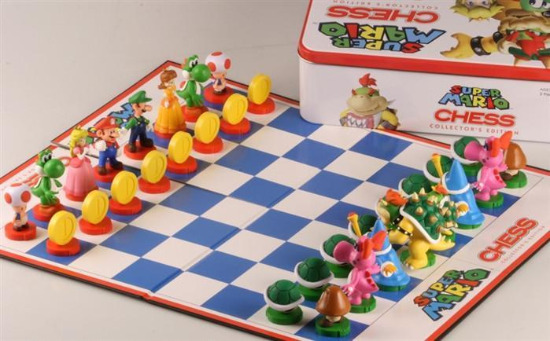 The Super Mario chess set comes packaged in a decorative tin that makes it great for gifting or display. This set is perfect for a child or child at heart who loves Mario. For children, it may just lure them away from the video games to play a stimulating game of chess, which is shown to have many mental benefits. It is a very fun set that treads the line between toy and thinking game. Perfect for growing minds! We already know about Mario’s humble beginnings as Jump Man, but how exactly did he make it from the bottom rung of the popularity ladder all the way to the top? What keeps people coming back for more, even so many years later in 2019? What keeps people coming back for more, even so many years later in 2019? In large part, Mario’s continued popularity is due to Nintendo’s continued ability to be able to adapt. As time went on and technology advanced, people started to expect different things from their video games, and Nintendo delivered with the Mario games. They always stayed on top of the curve as the trendsetter. When Mario first appeared in Donkey Kong, he was one of the first characters who had such a wide range of motion allowing him to move side to side, up and down, and jump over obstacles. It amazed audiences and set the bar for the whole genre. In Super Mario Bros, they brought even more innovative ideas to the table, introducing power up items along with the left to right sidescrolling that would become standard in platformer games of this type. Once again, audiences were impressed, and Nintendo raised the bar even higher. Super Mario Bros 3 introduced even more things to the Mario franchise, like an inventory, a world map, several new powerups, and the ability to skip certain levels if desired. 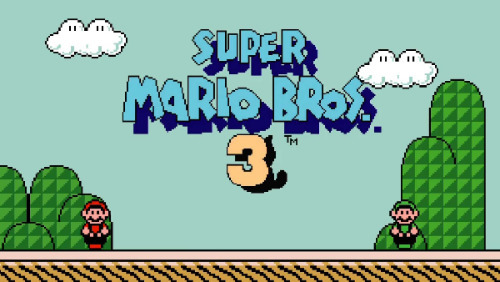 Because of these features and many others, Super Mario Bros 3 is considered by many to be the best video game ever made. Though it is simple compared to modern video games, it gets just about everything right. Super Mario World came along in 1990 and was the first game of this type to have levels that could be solved in multiple ways. Up until this point, there was only one path to advance on each level, and you had to find it or be stuck there forever. Super Mario World changed all that and allowed for more creative play. Then, a big technological change rocked the video game world. New advancements led to the creation of game consoles that could render graphics that were far beyond anything the world had yet seen, and could even handle 3D! This huge change presented an insurmountable challenge to many other game franchises who were not able to adapt, but Nintendo took the new idea and ran with it, creating Super Mario 64 in 1995. This was a different sort of Mario game altogether. The platforming style that had made it famous was largely abandoned in favor of more exploratory game play which really took advantage of the new 3D rendering capabilities or the Nintendo 64 console. Now players’ goal wasn’t only to finish the level and advance to the next one, but to complete a variety of different tasks, such as collecting different items throughout the world, for example. 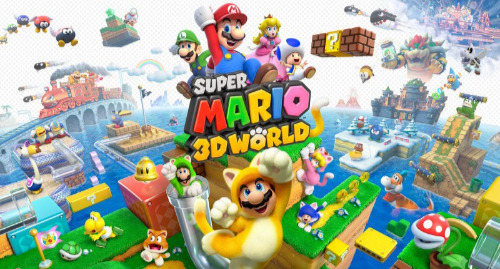 Once again, Nintendo used its Mario games to push the envelope and set the standard for the new 3D era of platform gaming. Of course, these are not all the games the Mario has been featured in. With his numerous games made for handheld devices and appearances in games from other companies other than Nintendo, it would be really impossible to list them all in one short article. 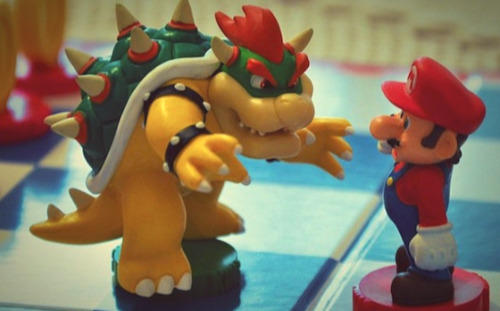 The point is that Mario games have continued to adapt to changing technology to this day and even now in 2019, Mario games remain a marker in the industry of how to use new tech to your advantage and get it right in a way that players can’t help but love. ● Have you ever wondered why Mario wears that silly looking cap and overalls? It’s not because he has no sense of style! It’s actually due to the limitations of technology when he was first drawn. Can you imagine how strange a mop of blocky hair would have looked on an 8 bit Mario? Much easier to just hide that whole area under a flat cap. Likewise, overalls allowed artists to clearly delineate where his body was, while still being able to add some contrast for his arms and hands. ● Mario as well as his nemesis Wario and Luigi’s nemesis, Waluigi are all voiced by the same person- Charles Martinet. Martinet landed the role after he crashed an audition that was calling for, “an Italian plumber from Brooklyn” type of voice. ● Mario could be the most well known character in the world. According to a survey done in 1990 by Marketing Evaluations, children rated him more recognizable and more popular than Mickey Mouse! ● Since Mario and Luigi are both known as “the Mario brothers,” we can assume that Mario’s last name is also Mario, and his full name is Mario Mario. ● Mario has a mustache simply because it is easier to see than a mouth on such a small sprite. ● In the original Donkey Kong game in which Mario first appeared (known as Jump Man,) he was actually a carpenter! He has had many different careers in different games since then- including a doctor, a race car driver, and a tennis player. Still, we all know him best as a lovable plumber! The Super Mario Bros Chess Set. This Super Mario Chess Set is just one option out of thousands when it comes to themed chess sets. If you’re in the market for a themed chess set, you can almost certainly find one that suits you, no matter what your interests are. On this site alone, we’ve reviewed many different kinds, including Batman chess sets, Harry Potter Chess Sets, Dragon chess sets, and others. We’ve scoured the web and compiled our favorite listings in each category. To see all the different kinds of chess sets we’ve reviewed so far, check out our main themed chess sets page. That will point you in the right direction!